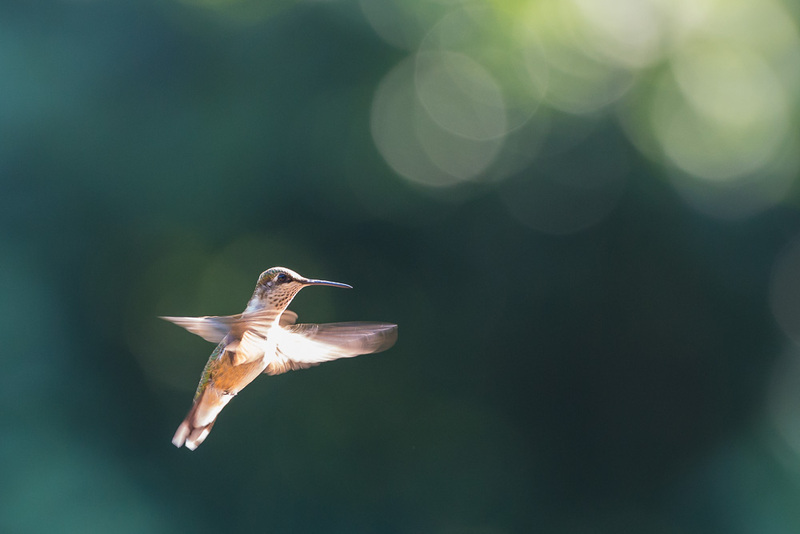 Ruby-Throated Hummingbird in the morning light. It’s hard to believe we’re in the last days of summer. If I think back to all of the adventures, activities, travels, work and fun we had, it seems like so much packed into just a few short months. But, then, when I pull up my blog I realize how little translated to my digital world. The truth of the matter is there’s only so much time in the day. Time to spend with family and friends. Time for work. Time for photography. Time for projects. Time for travel. Time for yourself. Time for sleeping! I had one of the best summers I can remember, but in return I had to set aside one of my passions, my blog. I had every intention of continuing regular posting through the summer months, but each day that passed seemed busier than the previous one. And, it’s not like I didn’t have photos–I shot more than 11,000 images from July through yesterday! In any case, what I’m trying to say is thanks for your patience and for checking out my blog for the infrequent updates that did appear. I appreciate the many who sent notes of understanding and who said they’ve taken breaks from their blogs for various reasons. Even though I have one more trip to make next week to conclude the summer, I’ll do my best to get back among my fellow bloggers starting today. I’ve missed hanging out with you all, and I’m looking forward to catching up! Thanks so much! Enjoyed your hummingbird images. I’ve had fun with the hummingbirds the past few days. They are getting used to me out on the deck with the camera. The challenge is keeping up with them and getting the camera focused! They are gorgeous! I so enjoy watching them fly and interact; they’re almost magical! Hey …welcome back Tricia! I think summertime is a busy time for everyone. We all try to pack in as much as we can while the weather is nice. 11,000 photos! Zowee! Thanks, David! Yes, I had a number of photography jobs over the summer. I actually now have developed a funky bump on one of my fingers from holding the camera…I hope it’s not permanent! Tricia – I am glad to see your post and the hummingbird photo! I can relate to being busier than normal. Glad you are having a great summer! I love the image on your avatar! We have so many hummingbirds this summer. We’ve counted up to eight at one time at the feeders. They have been a joy to have. Even my husband (not a bird person) enjoys sitting on the deck and just watching them play and chase each other. Too bad they’ll be leaving soon! You were indeed missed but priorities, priorities……and family and work need first place. I hope you will share some of the summer photos! Hi Lucinda! I hope you have a great time in Charleston! Sorry I’ll miss you this time. I will share some of the summer photos as soon as I get caught up. I’m hoping by the end of the month!